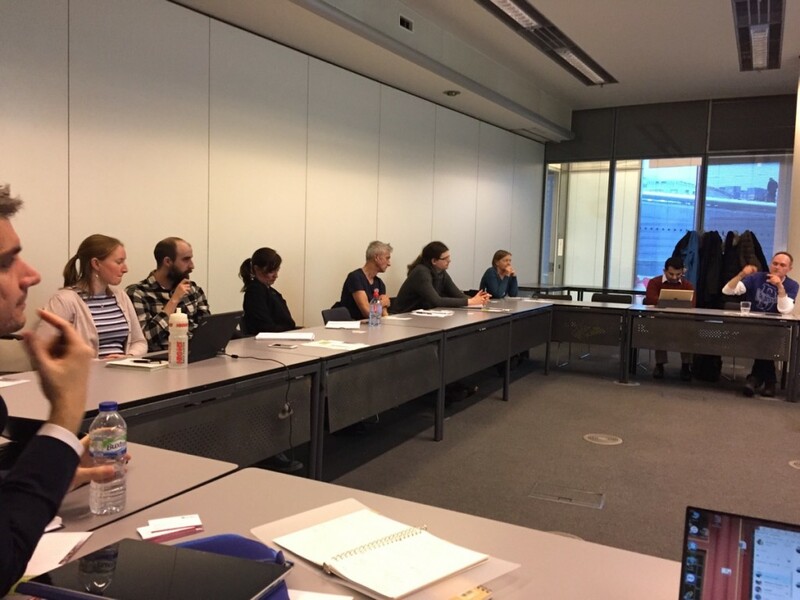 On February 14, 2017, the second Community of Practice meeting for London was held in the offices of the Greater London Authority. 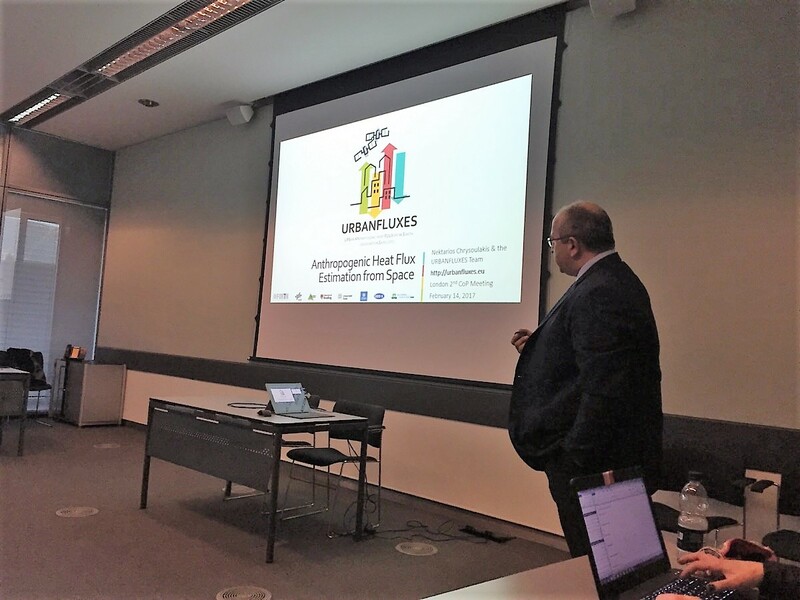 Next to six team members of the URBANFLUXES project, ten persons from different organizations in London came to the meeting. 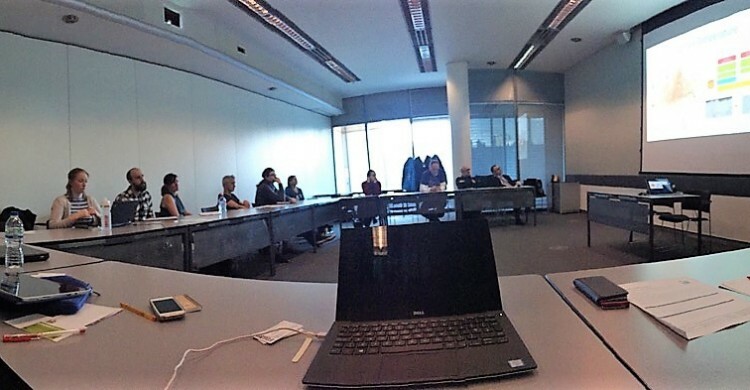 After a general introduction on the projects aims and methods by project coordinator Nektarios Chrysoulakis, the advantages of satellite-based data were explained by Zina Mitraka. More specific methods and data for London were presented by Sue Grimmond, and Andy Gabey presented the first results of the QF calculations. From these results it seems that the man-made urban heat is much higher in London compared to Basel and Heraklion. Then it was time for discussion on potential uses of the URBANFLUXES outputs in urban policy making. The audience came up with two interesting ideas. Firstly, not only to start using satellite data today and in the future, but to also look back and use, for example, 15 year old Landsat data and compare them with the present situation. Secondly, it could be interesting to use the data and models of URBANFLUXES to calculate the effects of different future scenarios in terms of urban heat and the energy balance. This could help urban planners with mitigation and adaptation to climate change.